If you work a lot with Albums in NeoFinder, you may end up with a long list of them. At that point, it is very helpful to group these Albums together. You can of course immediately rename that new group. 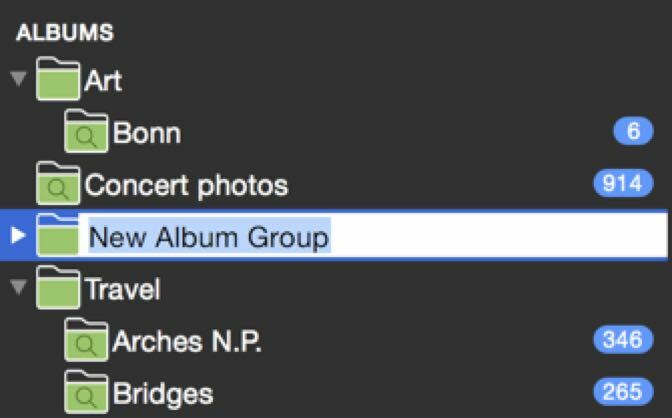 Renaming an Album Group is also always possible later by clicking into its name. Afterwards, drag your Albums into the new Album Group, or out of them. 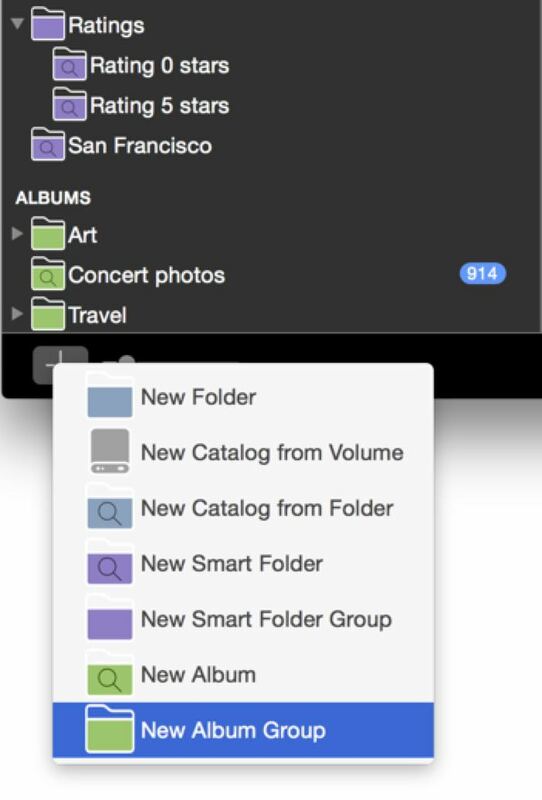 You can also place Album Groups in other Album Groups, just as you need them.